Looking for a way to teach your kids how to love their neighbors this Valentine’s Day? 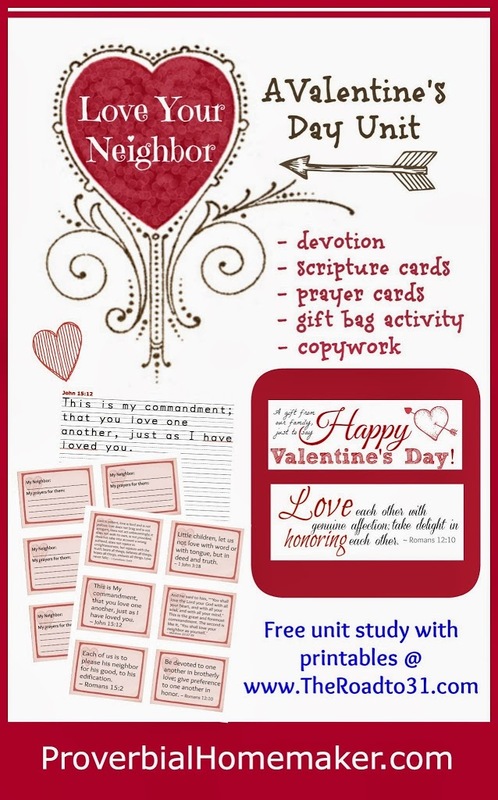 Here’s a freebie called Love Your Neighbor: A Valentine’s Day Unit Study! Talk About It: A short devotion to read and discuss. Scripture Cards: Scripture cards about love to study, pray over, or memorize. Copywork Pages: Copywork pages in print corresponding to each of the scripture cards. Prayer Cards: Prayer cards your kids can fill out to help them pray for their neighbors. Gift Bag Activity: Give small Valentine’s Day gift bags to your neighbors using the printable scripture gift bag toppers. Head over to Talking Mom2Mom to download the Loving Your Neighbor Valentine’s Day Unit and get started today! I would love to download this, but it is not allowing me to, Any way I can access the Love your neighbor unit study? Sure! Their site is down so I fixed it to temporarily link directly to the file. Go ahead and download it! Sorry! Their site is down for updates. I just linked to it manually for now so you can download it.